One of the first things that people noticed when looking at the brain on the cellular scale is that neurons are shaped differently from other cells. 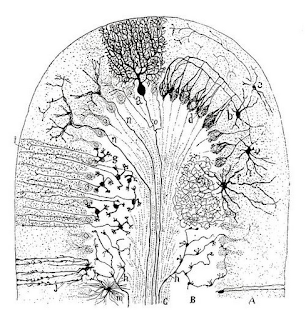 Drawings like this one by Ramon y Cajal show that neurons are not only shaped differently from say, blood cells, but also shaped differently from each other. (I am not going to give you a history lesson, but you can read all about Ramon y Cajal and his famous drawings here.) And if you are really lost and don't know what a neuron is, check out neuroscience for kids. Now there are much more sophisticated ways to analyze the shape of neurons. Software such as Neuromantic allow scientists to digitally reconstruct neurons and quantitatively analyze their shape. Once a neuron is digitally reconstructed, it can be deposited in a database for everyone to use. 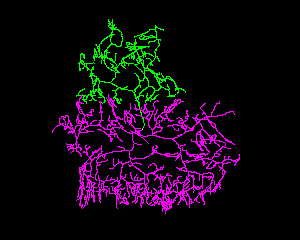 You can browse at least 7,000 neurons at neuromorpho.org, visualize them in 3D, and even analyze information about how long the dendrites are, how many dendrites branch off, and how much area is in each compartment. 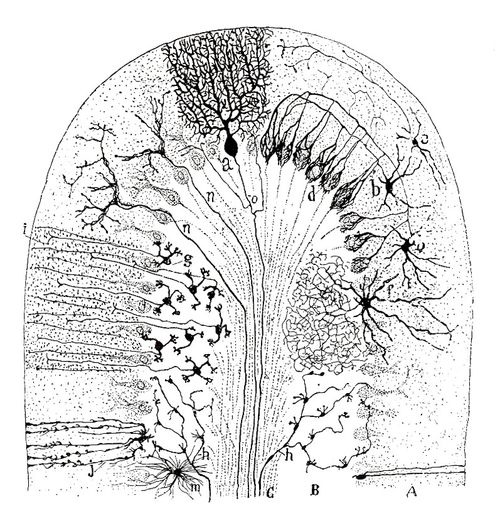 ... while the Pyramidal cells of the cortex have a bushy basal arbor of dendrites and a long vertical apical dendrite. (review: Libersat and Duch, 2004)? Similarly, how are neuron shapes altered in neurological diseases? 2. What does a neuron's shape have to do with it's function? 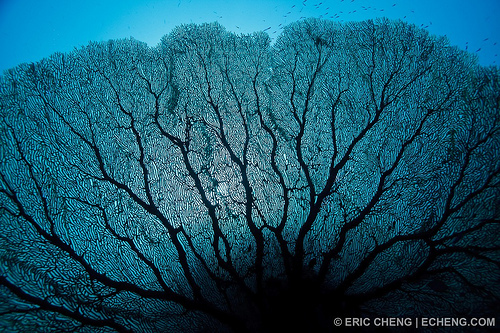 What sort of information it can receive and communicate when it has a huge flat dendritic arbor (like the Purkinje cell), or when it has a long narrow dendrite (like the Pyramidal cell)? Or could many different neuron shapes function the same way and these differences are just accidents of evolution (as a snowflake's shape is not really for a purpose, but an accident of condensation)? Feel free to leave answers, questions, and wild hypotheses below in the comments section. The "Human Neuron", not so special after all?